These are digitized scans of photographic slides taken by my father, Donald Delbert France (1934-2013), while on an American Civil War tromp in West Virginia with the Army of the Cussewago, led by Jay Luvaas, in 1975. 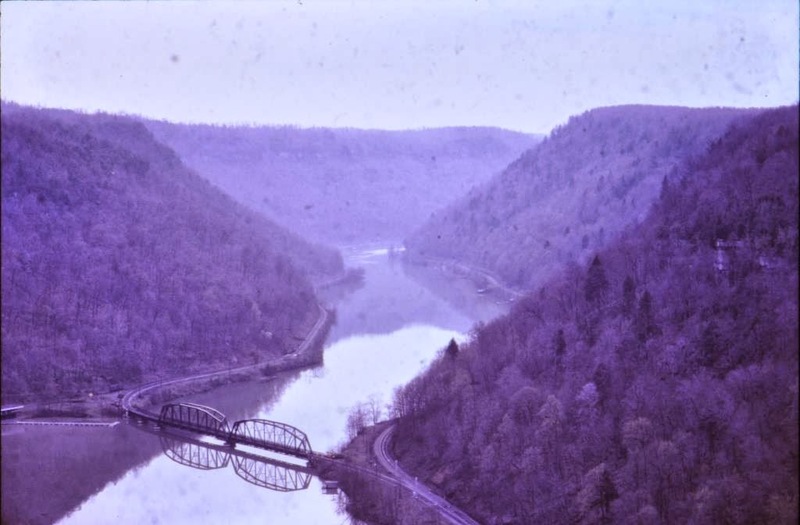 This first one is from a vantage point in the area of Hawks Nest State Park, overlooking a bridge over the New River. 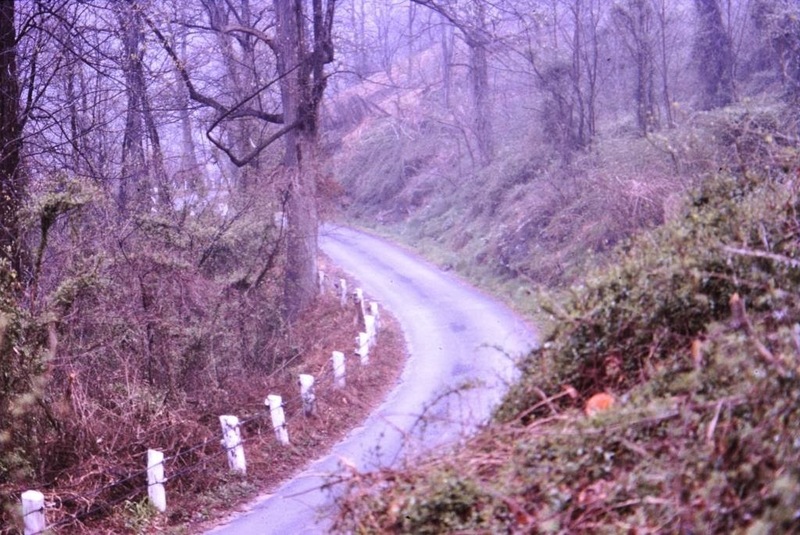 This is near Gauley Bridge and the Hawks Nest Tunnel Disaster of the 1930s. There is a documentary about the latter -- link here.